A primary issue with the story is that it sounds a great deal like the Paul Newman film, The Verdict. A lawyer faces tragedy and alcoholism and tries to re-start his life by taking on a big case. Here, it’s a criminal case rather than a civil one but as one of my relatives used to say, “Same difference.” Dan Sorenson was “a high powered New York City defense attorney…” until his wife and young daughter were killed by a drunk driver. Then the 43-year-old wreck of a man quits his practice and falls off of the planet into the bottle. Ah, but soon he’s contacted by a young female lawyer, Nina Harrington — pretty much fresh out of law school — who convinces him to defend a rapper accused of a murder he insists he didn’t commit (but which he seems to have very accurately described in one of his compositions). What are the odds that Dan and Nina are going to get it on between the sheets? Oh, you see that coming, too? 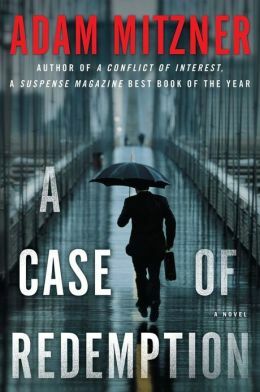 Yes, much of what happens in this legal novel is predictable. Once you’re halfway through it, you may well be able to figure out who the bad guy is (no spoiler alert needed here). Unfortunately, it all concludes with an overly tricky ending that’s implausible. The conclusion reveals that the entire tale was a big red herring and you are likely to feel embarrassed about having spent so much time getting through it. Since Mitzner is a practicing lawyer, there are a few realistic courtroom scenes, but they are highly structured. One never gets the “You never know what will happen next…” feeling that pervades true life courtrooms. So one’s time would be better spent reading a Scott Turow novel. Turow’s endings are tricky, but plausible. Misery Bay delivers the goods. 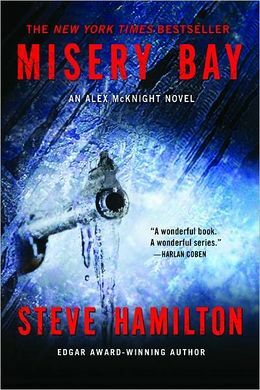 Misery Bay: An Alex McNight Novel by Steve Hamilton (Minotaur Books, $14.99, 320 pages). Steve Hamilton’s Misery Bay is in some ways a typical crime novel. In many ways, however, it is far from typical or cliche. The characters have some moxie and they intrigue the reader and the plot, which is the key to stories of this genre, is far from being formulaic. Hamilton is adept at providing subtle twists and turns just at the point when the reader thinks they finally are on track to reach a satisfying conclusion to the story. In this novel, a continuation of the Alex McNight mysteries, the former cop and current private investigator, ever the hero, crosses many lines in pursuit of a serial killer. In the process he teams up with police chief Roy Mavens, an unlikely pairing, to jointly face treacherous circumstances at virtually every turn. The novel takes place primarily in the solitary terrain of the Upper Peninsula, Michigan, creating a perfect backdrop to the tenor of the tale and the characters who inhabit it. And, for the true cop-lovers among us, there are cops everywhere: old ones, current ones, dead ones — they’re everywhere! About a third of the way through, each chapter is introduced with director comments on film scenes. At first, one can see that they generally relate to the story, but they don’t truly make sense until much further into the story. This tactic is a bit annoying initially, but it does spark the reader’s curiousity, and in the end, it clearly works as the story reaches its intriguing climax and ultimate resolution. If one suspends disbelief just a bit (hey, this is a novel after all), and tolerates a few minor leaps of faith, there is little to quibble with. Mystery Bay satisfies. Purists might argue with minor specific aspects of the dialogue, details of the police interactions, or the reality of the film scenes or script references, but none of that gets in the way of the reader’s overall enjoyment of the story. A review copy was provided by the publisher. “A wonderful book. A wonderful series.” Harlan Coben, author of Six Years. Dave Moyer is an education administrator and the author of Life and Life Only: A Novel. “Suspension of disbelief” is a phrase that is often used by book reviewers, and when it is, it’s usually not good news. When someone states that they could not suspend their disbelief, it means that the story they were reading (or the film they were watching) never felt real. I don’t know about others, but when I begin to read a fictional work that does not feel real, I get a mental picture of the writer in question at a computer struggling to figure out the next word, sentence, paragraph, chapter… The choppy feeling of a not-quite-true creation overwhelms the potentially positive experience of encountering a new world. I suspect that it’s hardest for someone to suspend their disbelief when they’re reading a novel about the very world that they inhabit. Let’s say, for example, that I was to write a novel about a major, fictional rock star. I think that actual rock musicians would be the toughest critics as they likely would find the story to be too “over-the-top” (not every rock band tears up hotel rooms), or find that it failed to reflect the tedium of life on the road. Most likely, a musician would want to find a story that he or she could relate to – one that would equally balance the drama and boring aspects of the professional music maker’s life. And, he or she would want to read a story in which – as in life – what comes next is never predictable. My experience of having worked in many aspects of the criminal justice system may explain why it is usually the hardest for me to locate the supposed realism in courtroom dramas and crime novels. I usually find fault from two different perspectives. Firstly, these novels often start off with plot lines that are far too tricky; too many authors seem to have been influenced by the shenanigans of John Grisham, who seems to need overly complicated and unrealistic stories to grab the reader’s interest. The same is true for the too-clever endings inspired by another successful writer, Scott Turow. The second issue I have with these novels is that despite the dramatic plots, the characters often seem to be cut from cardboard. They’re pretty lifeless compared to the often big personalities that inhabit the criminal justice system. There are public prosecutors who wear $1,000 suits and drive cars meant for millionaires. There are prosecutors and public defenders who don’t necessarily love their co-workers, and some prosecutors and public defenders have been known to have a drink together. Some deputy district attorneys don’t always get along with law enforcement officers. In other words, life in the halls of justice and the courtrooms is a bit messier than it’s portrayed in the latest crime novel. It’s also certainly not as “clean” as a typical episode of Law and Order. I think what’s forgotten is that these are real human beings, with great strengths and corresponding flaws; and they live and work in an imperfect world, a somewhat less than perfect criminal justice system. What’s the moral of this article? Simply that I’d love to see criminal justice system-based fiction that tones down the overly dramatic plots while raising the volume on the unique individuals who make their living within the law. Is there a writer who gets the characters right? Yes, I’m glad you asked… Interestingly, former prosecutor Marcia Clark (Guilt By Degrees, Guilt By Association) seems to portray some very realistic figures in her novels, although she cloaks them in the guise of sarcasm and humor. Still, it’s a start and want-to-be crime novelists would do well to read her work, and/or spend some actual time with the prosecutors, public defenders, defense attorneys, and policemen and policewomen who work very tough jobs that are so very rarely accurately portrayed. 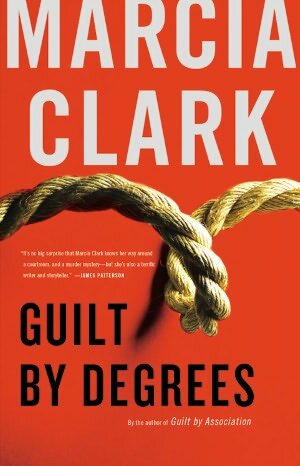 Pictured: Guilt By Degrees: A Novel by Marcia Clark (Mulholland Books). One courtroom drama that was highly recommended by this site is Tell No Lies: A Novel by Julie Compton (Minotaur Books, $19.99, 368 pages); also available as a Kindle Edition or Nook Book download. This article is one in a periodic series called Turn The Page.